MØ calls on the alt-rockers for a hazy remix of the 'Forever Neverland' highlight. Foster The People have got their groove back! The alt-rockers scored a well-deserved crossover hit with “Sit Next To Me” and could well land another one with “Style.” Co-produced with pop hitmaker Ali Payami, the rowdy anthem effortlessly marries social commentary with a booming, sing-along chorus. 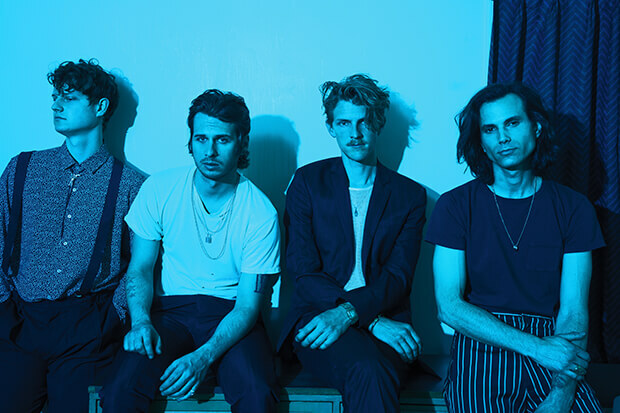 The video, which was directed by frontman Mark Foster, pulls off a similar feat by conveying a message — namely, that it’s time to fight back and form a resistance — in the most entertaining way possible. The neon-dappled clip begins with Mark delivering a speech to a warehouse full of free-thinkers and snappy dressers. Things get very weird shortly thereafter as the group dances around a large, glowing orb. Which they then set on fire when the evil Paperheads (think the cast of Reservoir Dogs with reams of paper where their heads should be) crash their party. Given the sheer catchiness of “Style” and recent single “Worst Nites,” the band’s 4th LP is shaping up to be something special. Watch below.